Portable screen for table presentation. 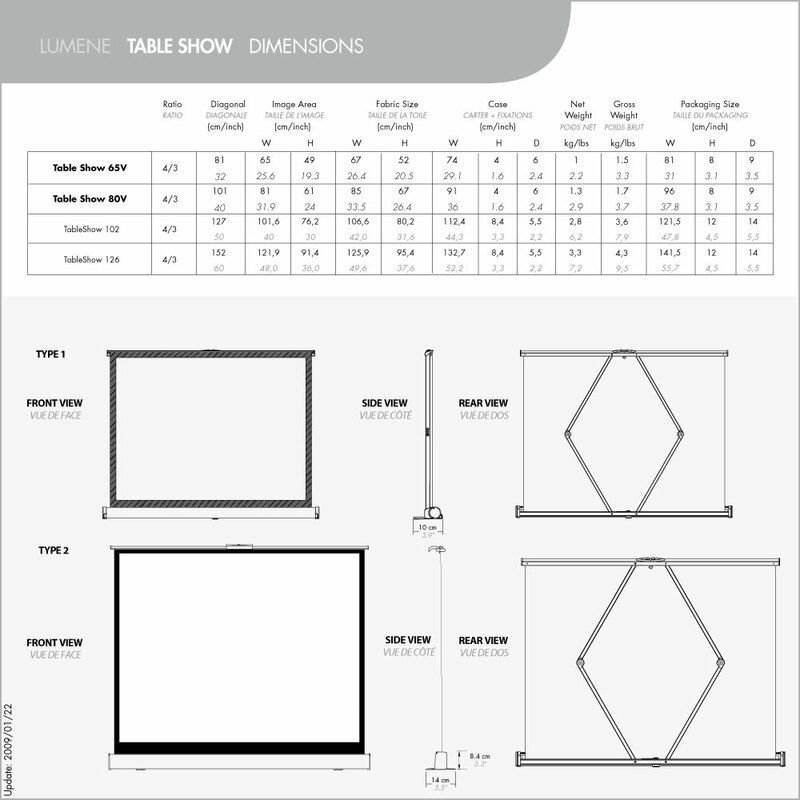 Extremely compact and very light, the Lumene TableShow screen, combined with your pico-projector, will allow you to make very professional presentations in the wink of an eye. Thanks to its very efficient and user friendly design, you will be able to pull your screen up and down in a few seconds only. 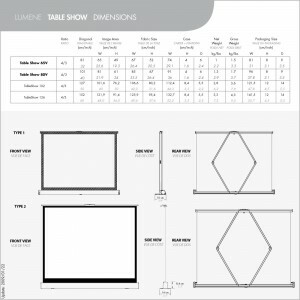 As all other Lumene screens, the TableShow is equiped with an ultra-white projection fabric with a large viewing angle (essential for an off-axis vision) and with black borders to improve contrast. 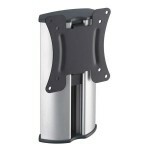 The aluminum case combines lightness and rigidity for a very smooth utilization. The patented arms system at the back will ensure the fabric tension.